Current Immunology Reviews publishes frontier reviews/ mini-reviews, drug clinical trial studies and guest edited thematic issues written by leaders in the field covering a range of current topics on all the latest advances in clinical immunology. The journal's aim is to publish the highest quality review articles dedicated to clinical research in the field. 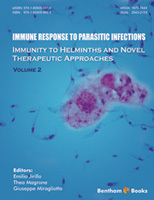 The journal is essential reading for all researchers and clinicians in clinical immunology. For all online submissions, please provide soft copies of all the materials (main text in MS Word or Tex/LaTeX), figures / illustrations in TIFF, PDF or JPEG, and chemical structures drawn in ChemDraw (CDX) / ISISDraw (TGF) as separate files, while a PDF version of the entire manuscript must also be included, embedded with all the figures / illustrations / tables / chemical structures etc. It is advisable that the document files related to a manuscript submission should always have the name of the corresponding author as part of the file name, i.e., Cilli MS text.doc”, Cilli MS Figure 1” etc. The Journal publishes peer reviewed full-length / mini-review articles and drug clinical trial studies written in English. Single topic/thematic issues may also be considered for publication. These peer-reviewed issues will either contain invited review/uninvited review/mini-review articles. A Single Topic Issue Editor will offer a short perspective and co-ordinate the solicitation of manuscripts between 3-5 (for a mini-thematic issue) to 6-10 (for a full-length thematic issue) from leading scientists. Authors interested in editing a single topic issue in an emerging topic on Clinical Immunology may submit their proposal to the Editor-in-Chief at cir@benthamscience.net for consideration. Authors should also provide a short 'running title'. Title, running title, byline, correspondent footnote and keywords: should be written as presented in original manuscripts. 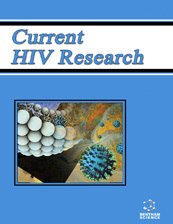 A graphic must be included with each manuscript for use in the Table of Contents (TOC). This must be submitted separately as an electronic file (preferred file types are EPS, PDF, TIFF, Microsoft Word, PowerPoint and CDX etc.). A graphical abstract, not exceeding 30 words along with the illustration, helps to summarize the contents of the manuscript in a concise pictorial form. It is meant as an aid for the rapid viewing of the journals' contents and to help capture the readers’ attention. The graphical abstract may feature a key structure, reaction, equation, etc. that the manuscript elucidates upon. It will be listed along with the manuscript title, authors’ names and affiliations in the contents page, typeset within an area of 5 cm by 17 cm, but it will not appear in the article PDF file or in print. The main text should begin on a separate page and should be divided into title page, abstract and the main text. The text may be subdivided further according to the areas to be discussed, which should be followed by the Acknowledgements, List of Abbreviations, Conflict of Interest and Reference sections. The Review article should mention any previous important reviews in the field and contain a comprehensive discussion starting with the general background of the field. It should then go on to discuss the salient features of recent developments. The authors should avoid presenting material which has already been published in a previous review. The authors are advised to present and discuss their observations in brief. The manuscript style must be uniform throughout the text and 10 pt Times New Roman fonts should be used. The full term for an abbreviation should precede its first appearance in the text unless it is a standard unit of measurement. The reference numbers should be given in square brackets in the text. Italics should be used for Binomial names of organisms (Genus and Species), for emphasis and for unfamiliar words or phrases. Non-assimilated words from Latin or other languages should also be italicized e.g. in vivo, in vitro, per se, et al. etc. Section headings should be numbered sequentially, left aligned and have the first letter capitalized, starting with the introduction. Sub-section headings however, should be in lower-case and italicized with their initials capitalized. They should be numbered as 1.1, 1.2,etc. In case there is a need to present lengthy, but essential methodological details, use appendices, which can be a part of the article. An appendix must not exceed three pages (Times New Roman, 10 point font, 900 max. words per page). The information should be provided in a condensed form, ruling out the need of full sentences. A single appendix should be titled APPENDIX, while more than one can be titled APPENDIX A, APPENDIX B, and so on. Any additional files will be linked to the final published article in the form supplied by the author, but will not be displayed within the paper. They will be made available in exactly the same form as originally provided only on our website. Please also make sure that each additional file is a single table, figure or movie (please do not upload linked worksheets or PDF files larger than one sheet). Supportive/Supplementary material must be provided in a single zipped file not larger than 4 MB. The specific requirements for authorship have been defined by the International Committee of Medical Journal Editors (ICMJE; http://www.icmje.org). Examples of authors' contributions are: 'designed research/study', 'performed research/study', 'contributed important reagents', 'collected data', 'analyzed data', 'wrote paper' etc. This information must be included in the submitted manuscript as a separate paragraph under the heading ‘Acknowledgements’. The corresponding author is responsible for obtaining permission from all co-authors for the submission of any version of the manuscript and for any changes in the authorship. A specific declaration of such approval and consent-to-disclose form must be made in the copyright letter and in a stand-alone paragraph at the end of the Methods section especially in the case of human studies where inclusion of a statement regarding obtaining the written informed consent from each subject or subject's guardian is a must. The original should be retained by the guarantor or corresponding author. Editors may request to provide the original forms by fax or email. References should be numbered sequentially [in square brackets] in the text and listed in the same numerical order in the reference section. All references must be complete and accurate. Online citations should include the date of access. Journal titles should conform to the present Index Medicus abbreviations. It is necessary to list all authors if the total number of authors is 6 or less and for more than 6 authors use 3 authors and then et al. All authors must strictly follow the guidelines below for preparing illustrations for publication in Current Immunology Reviews. If the figures are found to be sub-standard, then the manuscripts will be rejected. For more information please contact the Editorial Office by e-mail at cir@benthamscience.net. Bentham Science also offers authors the choice of “Open Access Plus” publication of articles at a fee of US$ 750 per article. This paid service allows for articles to be disseminated to a much wider audience, on the terms of the Creative Commons Attribution 4.0 International Public License (CC-BY 4.0) (https://creativecommons.org/licenses/by/4.0/legalcode). Authors are asked to indicate whether or not they wish to pay to have their article made more widely available on this “Open Access Plus” basis. Where an author does not opt-in to this paid service, then the author’s article will be published only on Bentham Science’s standard subscription-based access, at no additional cost to the author.